Apple finally made the iPhone 5official yesterday and it has received different kinds of reactions over the net – a situation that’s very similar to the launch of the iPhone 4S last year. But the former Apple’s frontline smartphone has been sold like hotcakes in shelves and it emerged as the best phone of 2011. Now that its successor is about to embark the same journey, we couldn’t help but compare these two iPhone generations. 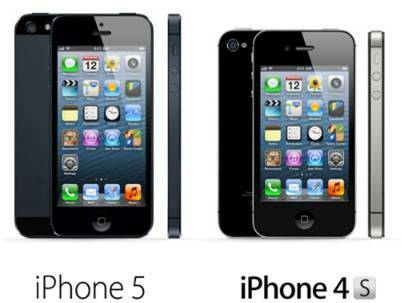 iPhone 5 weighs less with its slimmer form. Likewise, under the hood, the A6 chip claims to be two-times faster than the iPhone 4S’ A5 chip. Camera has improvised low-light snapping capability and ofcourse, the 4G chip of the new iPhone will result to faster internet access (only if your service provider permits). The upgrade from iPhone 3GS and 4 is a no-brainer. However, iPhone 4S users needs to consider whether they are willing to subscribe in a 4G data plan or if their service provider is capable of having 4G access. In other words, if you have no plans in having 4G connectivity, not impressed with the new taller/refreshed design and slightly faster processor and GPU; then iPhone 4S is more than enough. Check out comparison after the jump.